Enlightium Academy partners with churches as well as public and private schools to help them start new academic programs and expand their offerings quickly. Our accredited curriculum provides your students the convenience of learning online or in a blended learning environment, at a pace that’s right for them. There is a growing trend among Christian families to provide their children a private education. Unfortunately, affordable Christian school alternatives are lacking within their communities. Some parents choose to homeschool while others can't afford to leave their jobs to do so. If you have ever considered providing an alternative Christian school to your community, we can help you get started quickly without the high costs. By partnering with Enlightium Academy, you can provide an opportunity for the parents in your community to enroll their children in a quality, accredited, Christ-centered school from your church or academic facility. We provide an online Christian curriculum, Naviance college and career readiness platform, certified teachers, counselors, and a caring staff. Our goal is to help your organization provide an affordable and personalized Christian education to your local community. Expand your school’s course offerings quickly and easily with the Co-Op Program through Enlightium Academy. The Co-Op Program allows students to be enrolled at your Christian school while simultaneously enrolled part-time or full-time at Enlightium Academy. We offer an assortment of courses and provide distance learning teachers, academic assistance, report cards, transcripts, accredited diploma, and a flexible enrollment to fit the individual needs of your students and school. Our program is also perfect for K-8 private schools that are unable to afford the cost of adding a high school option for their students. We are prepared to help your school expand. Enlightium Academy helps students from public and private high schools across the country get back on track and graduate from their school on-time with our online credit recovery and summer school courses. Whether your students are falling behind due to scheduling conflicts or needs to repeat select courses, our affordable and accredited high school curriculum offers them the flexibility and convenience to make up the credits they need, online, and at their own pace while still enrolled in their local school. Enlightium Academy also offers courses for students that need to accelerate studies to free up their schedules to take on early college or Advanced Placement (AP) work. Partner school enrolls student on behalf of family. Partner school refers family to Enlightium Academy to enroll student. Partner school is the primary school of record and holds responsibility for course selection, report cards, and transcripts. Enlightium Academy is the primary school of record and holds responsibility for course selection, report cards, and transcripts. Partner school is billed directly for tuition by Enlightium Academy. Family is billed directly for tuition by Enlightium Academy. Standardized support packages and tuition. Enlightium Academy directs all correspondence to partner school contact. Enlightium Academy directs all correspondence to primary parent and partner school contact. Additional customization may be available upon request for Co-Managed and Full Service partner packages. 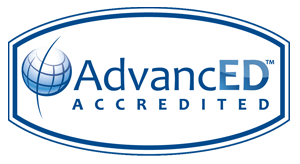 Full Accreditation: Parents and students get the security of knowing courses from Enlightium Academy are held to high quality standards necessary to maintain accreditation, which is recognized worldwide by colleges and universities. Wide Variety: You can offer your students a Christian online curriculum that includes over 60 high school electives. Qualified Teachers: All Enlightium Academy teachers provide proven teaching excellence and have a degree or certification in the fields they teach. Selective Enrollment: You have the flexibility to enroll your entire school or individual students based on your needs throughout the year, not just at the beginning of a term. Easy Expansion: With the Enlightium Academy Co-Op Program, you can start or expand your Christian school to include elementary, middle, or high school without adding classrooms, teachers, or resources. You Choose Who is in Charge: We can take a hands-on or hands-off approach based on your preferences or needs concerning communication and course selection. Academic Assistance: Enlightium Academy provides academic planning, grading, report cards, and transcripts for all Co-Op students. Tuition Savings: Offer your community 20% off our tuition support packages by enrolling 5 or more full-time students.